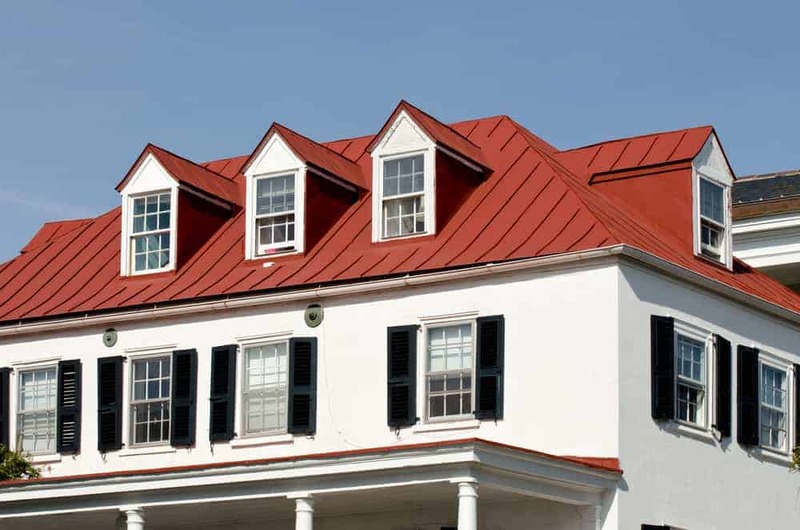 After several decades, metal roofing is making a comeback in the residential sector. That’s because metal roofing is durable, aesthetically pleasing and provides support for a building for upwards of 60-70 years. And, with modern innovations in roofing materials and treatments, a metal roof can be a beautiful addition to any structure. Before making the next step in purchasing a roof, or repairing an existing one, consider what a metal roof can do for you and your home. Specific points of consideration include the longevity a metal roof provides, as well as the environmental responsibility that comes with installing metal roofing. With this kind of selection, and the advances in metal roofing in general, the use of metal for roof construction has expanded. However, many homeowners still stick with more traditional shingles for their homes and garages. Let’s explore some of the factors that weigh into this decision. First, let’s address what might be common sense to many: metal roofing is just more durable than most other materials. Metal roofs, properly treated, last longer, resist rain and wind damage better, and support the structure of the buildings they protect through their strength and relative lightness. 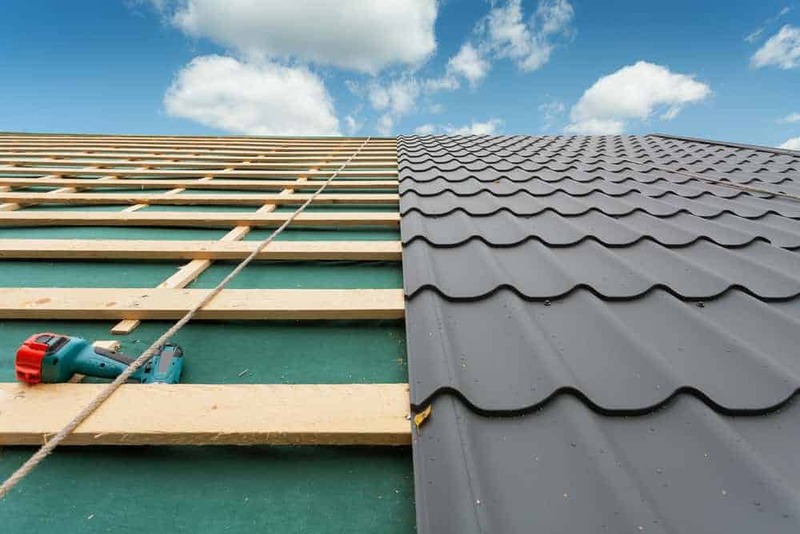 Consider this: metal roofing materials resist damage better than traditional shingles while weighing (potentially) hundreds of pounds less for the same coverage area. That means less stress on the building’s structure-and less structural repairs needed down the line. Take that with the fact that metal roofs can last upwards of 40-70 years depending on the metal used and the construction quality. Well-constructed and properly installed metal roofing can withstand the effects of aging much better than roofs built with traditional shingles which means more time between necessary repairs or complete replacement. A final point to consider is that metal roofs are perfect for shedding heavy rain or snow. If you live in a place that gets significant precipitation, metal roofing helps reduce weight and structural damage caused by leaking water or trapped snow piles. We’ve all been in a home where the AC just keeps running in the summer, or rooms never seem to warm up in the winter. It’s really unfortunate that we’ve just come to expect that many homes and buildings were never meant to be as energy efficient as they could or should be. Metal roofing, however, addresses quite a few energy efficiency problems in both homes and detached structures. Metal roofs, properly installed, actually reflect radiant heat from the roof of a building. Some installations may allow for installers to leave an air space gap between the metal roof and a wooden sub-roof that eliminates heat transfer between the two. So, between heat reflection and an air gap, the amount of heat leaching into, or radiating out of, a building is less that with other materials. In some cases, energy savings from a metal roof can reach up to 40%. garage or work area, it can eliminate the need to run central heating and air (or even space heaters and fans) in these areas. Metal roofs are also typically composed of roughly 35% recycled materials. Since many common metals are suitable for reuse, it stands to reason that a mixture of new and recycled metal can decrease the cost of a roof overall, while contributing to the environment by removing wasted scrap metals from landfills. 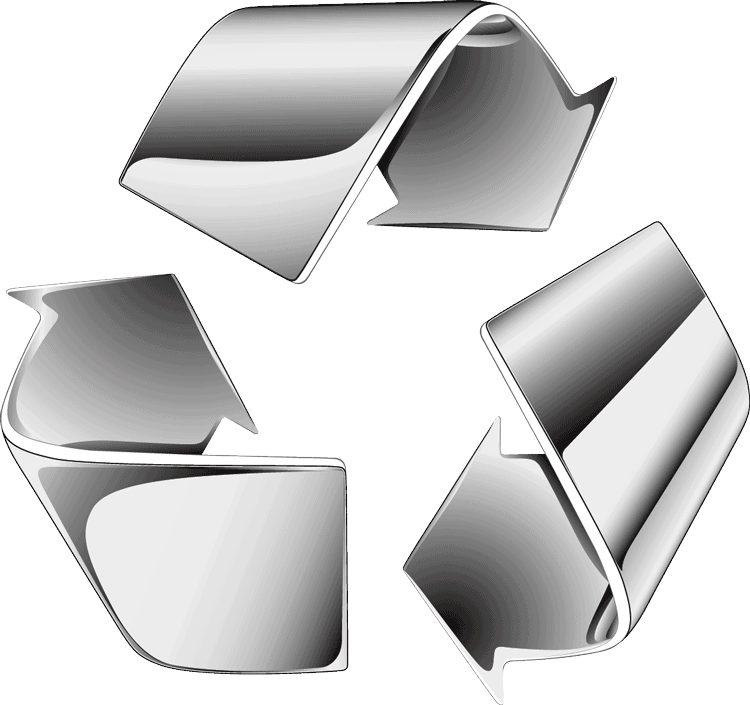 Even better, recycled materials do not hamper the strength or durability of the roof as a whole. Properly built and installed metal roofs are constructed with recycling in mind, so the environmental benefits of recycled metals do not negatively impact roof performance. In these cases, metal roofing can help to reduce or eliminate the need for central heating or cooling for these buildings. It’s also the case that many garages and sheds are typically in areas with more tree coverage, in which case the metal roof can protect against wind, storm, and falling limb damage. Metal roofing can also contribute to the aesthetics of your home, even if you don’t put it all over the house. Metal roofing materials are often used on bay windows, because accent colors, textures and materials can be used to break up a plain. This helps to draw visual interest to key features of the structure without driving up the cost of the entire roof. Historically metal roofing on bay windows has been done with custom hand seamed copper to add architectural interest to that one facet of the roof. This option is still popular on many higher end homes. There are many benefits to installing metal roofing on your home or your detached sheds and garages. We can be honest, though: there are a few negatives as well, the main one being the up-front cost for a metal roof can be significantly higher than traditional shingles. Some of us can’t, or just don’t want to, pay a large upfront investment in a metal roof simply for the aesthetics. This is totally understandable. The argument here, however, would be that a metal roof can outlast the average shingles. The longevity of a metal roof is typically about twice that of the average shingle. When comparing a metal roof to traditional shingles, material warranties can be comparable, but the metal will still outlast the shingle. There is however, labor and workmanship to think about with warranties, and that if a repair needs to be made, that can be much more complicated on a metal roof. Almost no metal roofing manufacturer has a preferred installer network where they offer a standard labor and workmanship warranty, therefore, this is done through the installer. Make sure that you get all warranties in writing from your installer to avoid future misunderstandings. Weighing the pros and cons of metal roofing is good practice before jumping in. Properly installed and treated metal roofing, however, can save money on long term energy efficiency, protect a home’s structure, resist fire and storm damage, and provide a roof that will outlast other materials by 30-40 years. So, if you are thinking about placing a shed or detached garage on your property, you can’t go wrong with metal roofing. But, if you want to take the next step, you can also think about what it would mean to install metal roofing on an accent feature or even the entire roof of your home.